I’m so excited to finally share this fun quilt with you! She’s been a long time in the making – from design idea to now – it’s been well over a year! Part of the delay in sharing is that I had to wait until she was gifted. Since that finally happened over the holidays, I’m now free to share ALL the details with you! 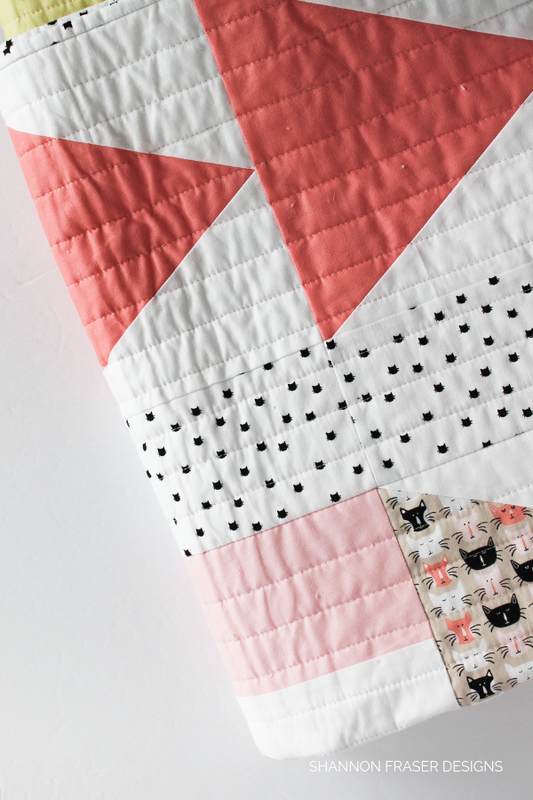 I’m always curious about the back story of how a quilt came to be and this one, well, she started when I stumbled upon the Meow collection designed by My Mind’s Eye from Riley Blake Designs. I was literally stopped in my scrolling tracks and thought “this is THE perfect collection for my SIL”. She is such a cat lover and has fostered her fair share of abandoned kitties until they found a loving home. Since I hadn’t made her a quilt yet and with her celebrating a a big birthday milestone in 2018, I thought this was kismet! 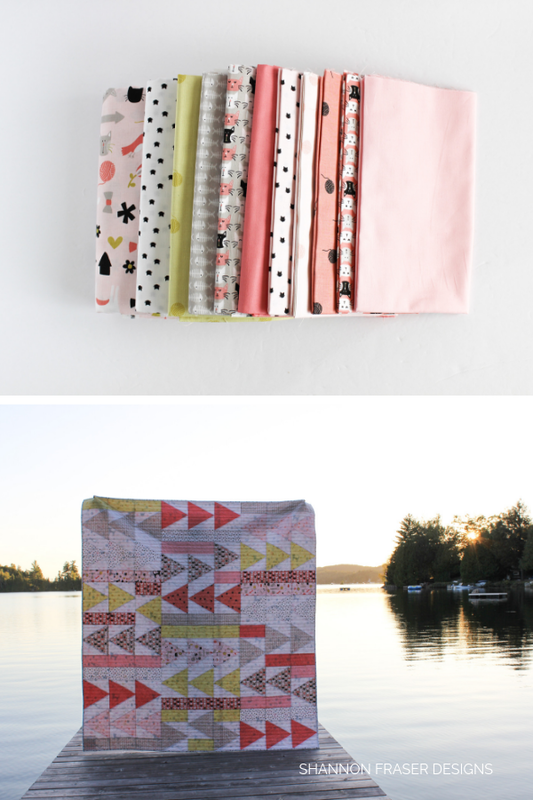 I showed the collection to the hubz to get his input on whether he thought she would love it and, with his buy in, I was off designing a quilt to feature these fun prints! Some designs take awhile to create and get from initial concept to final design, but with this one, there were very few iterations. 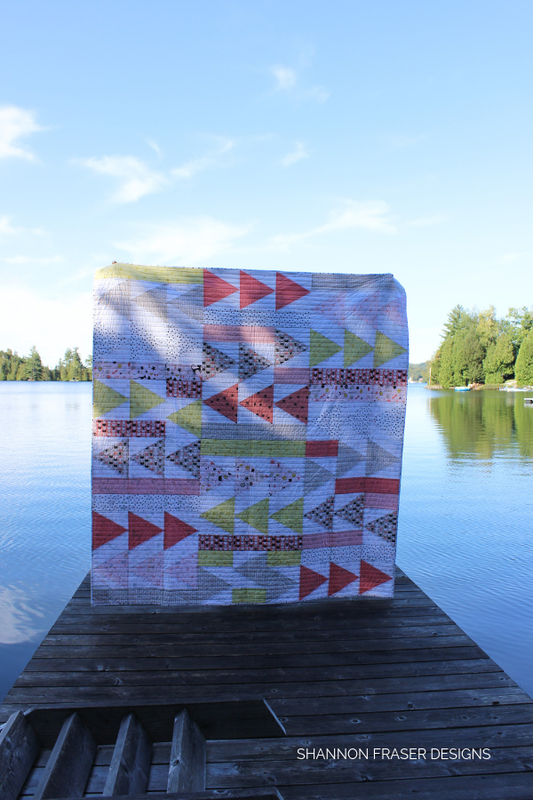 The biggest challenge in making this quilt a reality was getting my hands on the fabric collection. 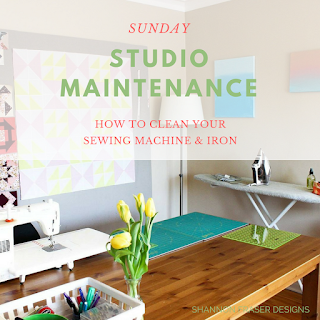 Being in Canada, it can be a challenge to source fabrics. Often times the shipping charges and currency conversion make it cost prohibitive to move ahead. But I was determined to get my hands on this collection for her. 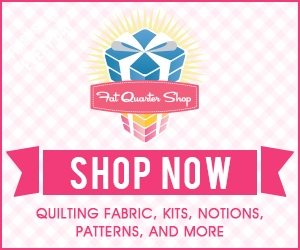 After lots of sourcing, the Fat Quarter Shop came to the rescue by having the entire collection plus the coordinating solids available. Everywhere else, I was stuck buying from multiple sources to get the fabrics I needed. And with the quilt finishing around 68”x75”, I needed quite a bit of fabric! 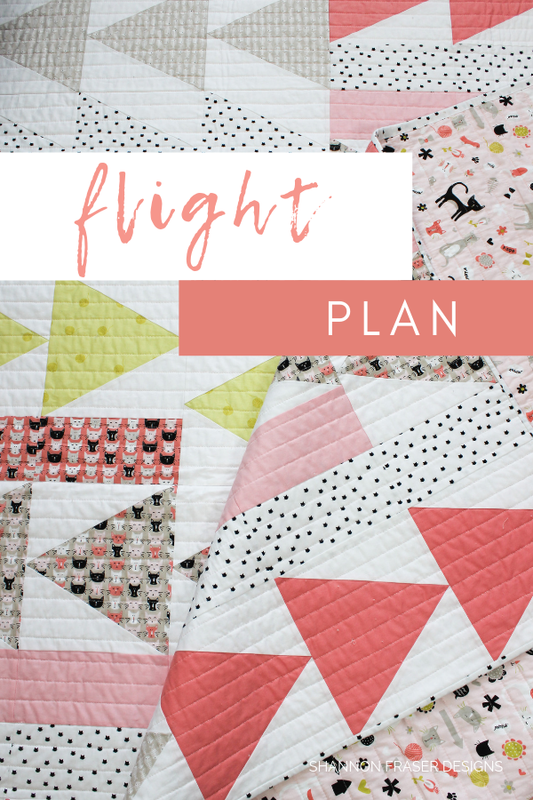 I’m so thrilled we persevered because I love how this fun collection looks paired with the geometric pattern design of the Flight Plan quilt. The other challenge I had with this quilt was getting good shots of her in the wild! I went out no less than 4 times to try and capture her – without success! So, I apologise in advance for the less than stellar photos, but I still wanted to show you the full quilt. When it came time to quilt her, I wanted to keep the quilting simple. My go-to in that case is straight line quilting. Here I opted for 1-inch straight lines featuring 40wt Aurifil Thread. I love the 40wt for top quilting as I love seeing my stitches. We spend a lot of time quilting all those layers together and I want that to be visible and 40wt achieves that beautifully. To coordinate with the fun pink backing, I went with a lovely pale pink so it still stood out against the white, green and gray, but blended nicely on the back so the focus was on the backing print. 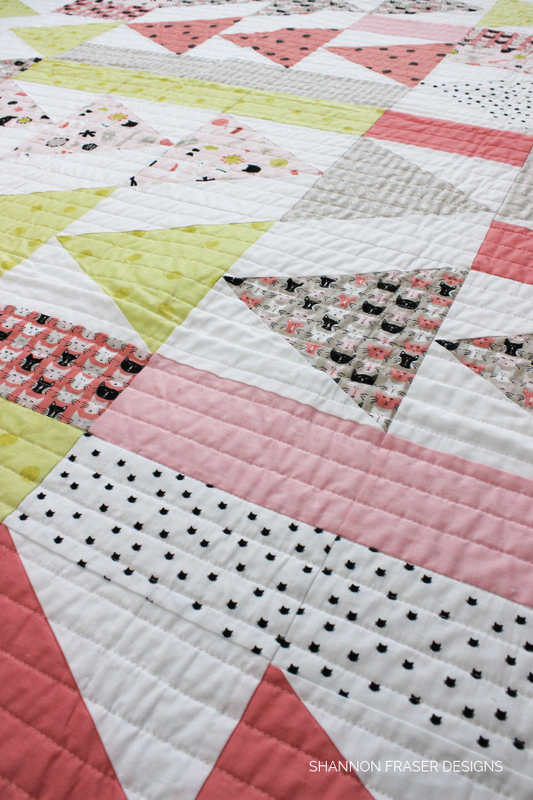 The combo of the soft fabrics with the quilted lines really makes for the snuggliest quilt! The binding is one of my faves! Those cute little cat heads look like a black and white polka dot print from far away and then you get up close and are delighted by these cute little cat heads! Too cute! I struggled with naming this quilt! For the longest time, I just referred to her as the Meow Quilt, but that didn’t really feel very representative of the quilt pattern design. When I shared the design on Instagram, I received several comments relating to “direction” and a light bulb went off! I’m a big believer in following your own path, irrespective of what others think. I’ve encountered lots of resistance in my life from people that I love on the choices I’ve made. Over the years, I’ve come to realize their reactions were more indicative of what they were going through/ feeling/ wanting rather than it really being about me. Thankfully, I’ve had a stubborn streak and fierce independence to me that has kept me pursuing things I care about and living the life I want. And the older I get, the more I appreciate those characteristics. Life is short, and it’s definitely too short to be following a path that others want you to take. Which kept me coming back to “Your Way”, but that felt like it could be misconstrued. 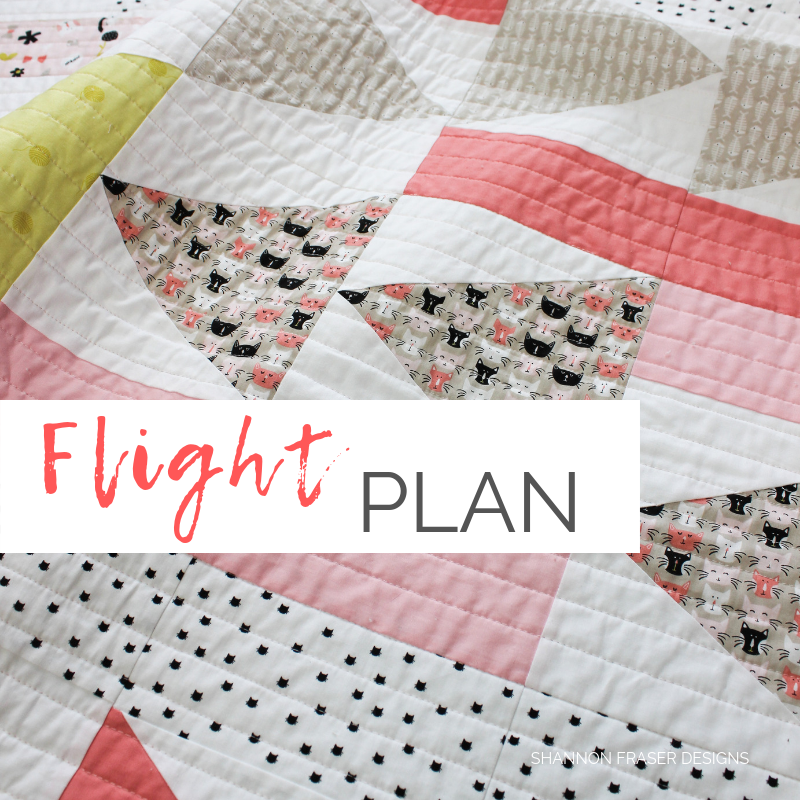 So, I opted for Flight Plan as I felt it summed up the importance of staying true to where your heart wants to go but learning that you sometimes need to take several paths to get there. Hopefully this resonates with you too! 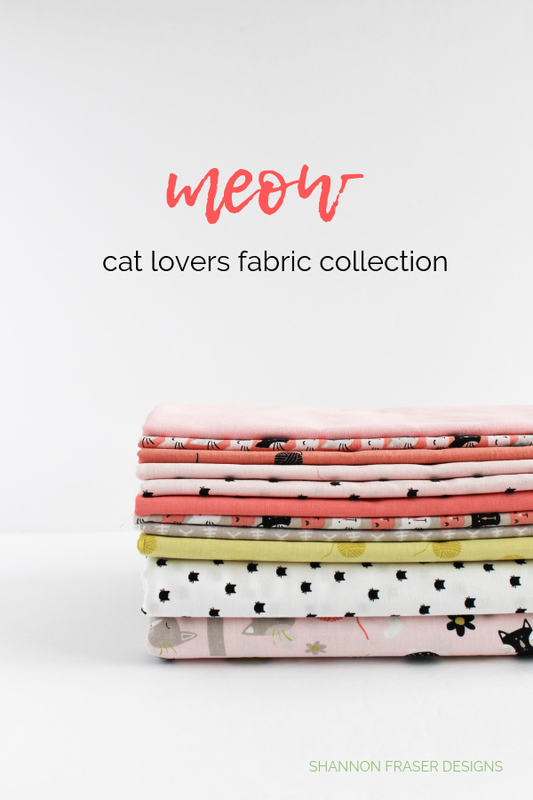 And heads up, while preparing this post for you, I noticed Riley Blake has come out with a second line for this collection called Meow and Forever. 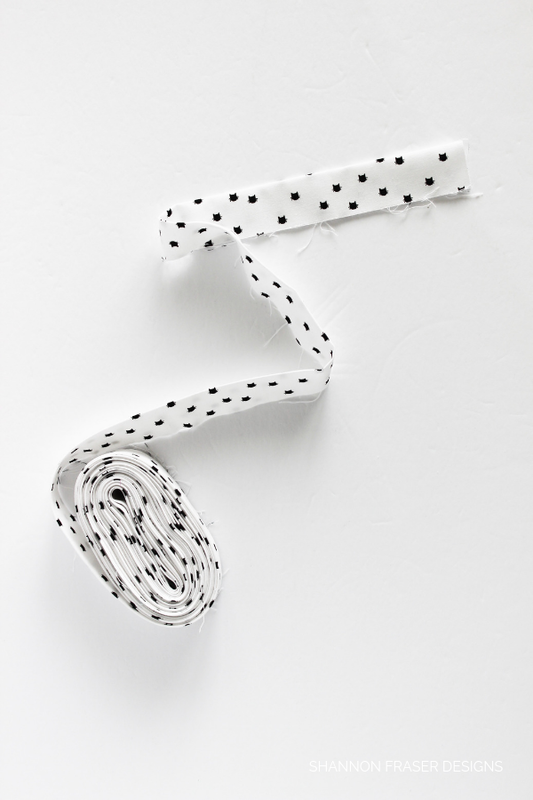 You can see all the fun new prints here. Aside from my Hexed Table Runner, this is the first collection I’ve worked with from Riley Blake Designs and can I just say how amazing these fabrics feel. 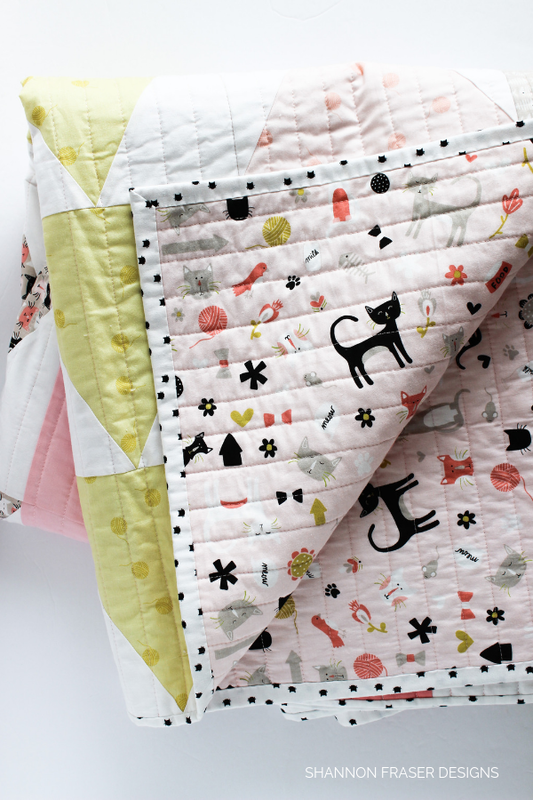 The overall feel of the quilt is just so snuggly and soft. I can definitely see myself wanting to work with their fabrics again. I’m still working on the pattern and testing out different ways to piece the triangles together, so your points are nice and sharp. Stay tuned for that coming later this year! PS I’m knocking this one off my Q1 FAL 2019 list! I bet she loved the quilt; the detail in the prints and design draws me right in! She did! 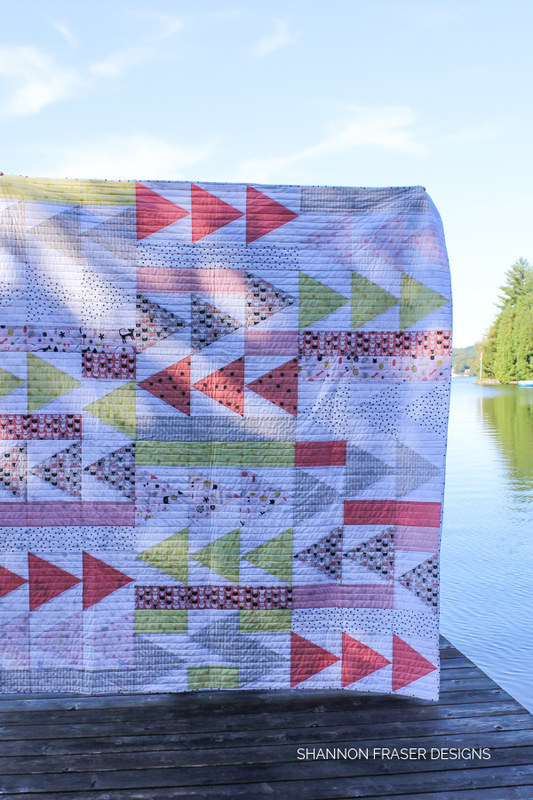 I was really thrilled that she loved it – always a little nerve wracking gifting a quilt when they haven’t been involved in the design process 😉 And I love hearing that the prints and design drew you in – so encouraging!!! I love this quilt Shannon! The colours, the design, the quilting - this is sooooo nice! My daughter would go crazy for the little kitties! Awww, thank you, Izzy! That means so much to me 😊 Those kitties really are adorable – it was a fun collection to play with!! I used this fabric line for 2 girls jackets & was such fun. Love the quilt & hope a pattern is available soon. Oh, I bet those jackets are the cutest, Kathy! 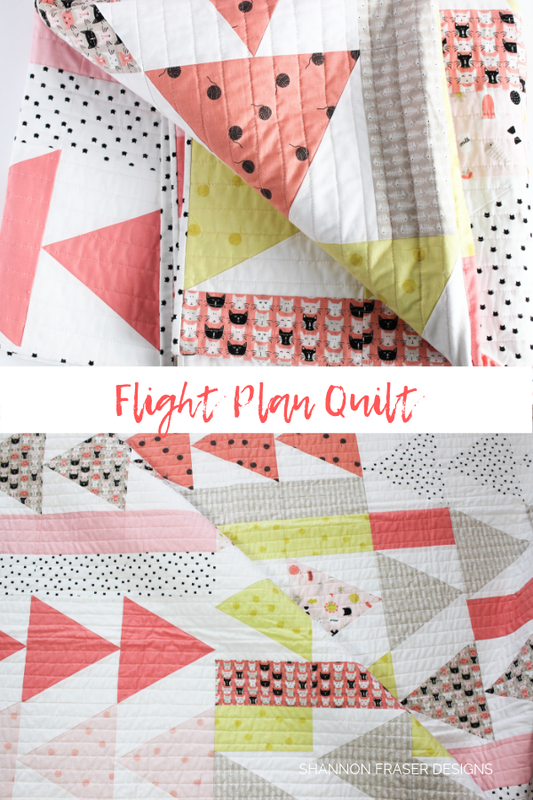 Such a fun collection with so many possibilities 😊 The Flight Plan quilt pattern is in the early stages of development and hoping to have it out in the Spring! Thank you so much, Marla! I’m thrilled you like the design 😊 I’m hoping to make another one soon! 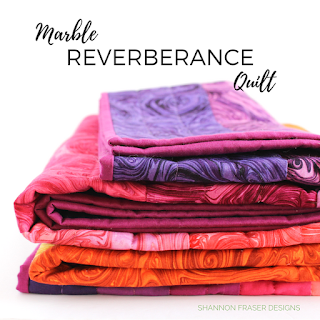 Ooh, I love a quilt backstory, too! This is a great quilt all the way around - the design, the fabrics, the story. It’s all so good! Nice one, Shannon. Aw, that means so much to me! 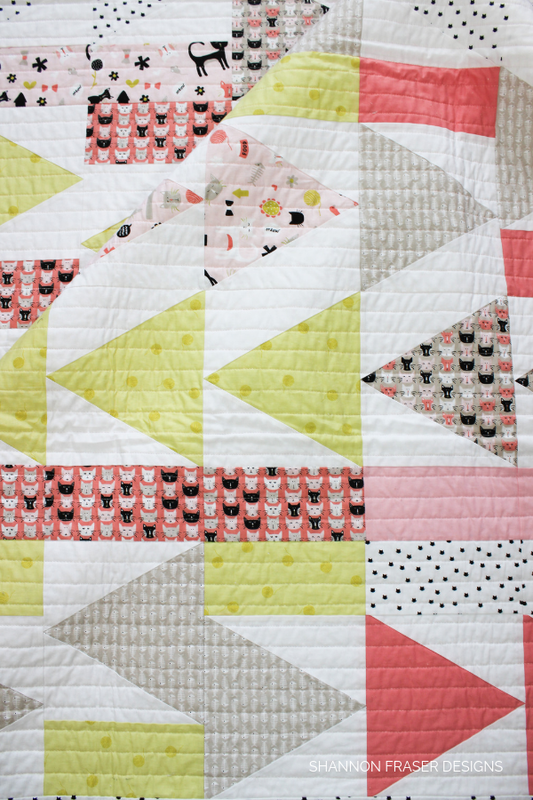 Thank you for popping in and reading up on this fun quilt! Lovely! Where could I find the pattern? I love this pattern! I'm on the hunt for some inspiration for a new quilt for my bed and this would be amazing! That's awesome news! I'm currently working on the pattern and hope to have it out by the end of April or in May!